Mommies, I am sure you are very eager to know more about other tricks I have under my sleeves for your picky little eater. 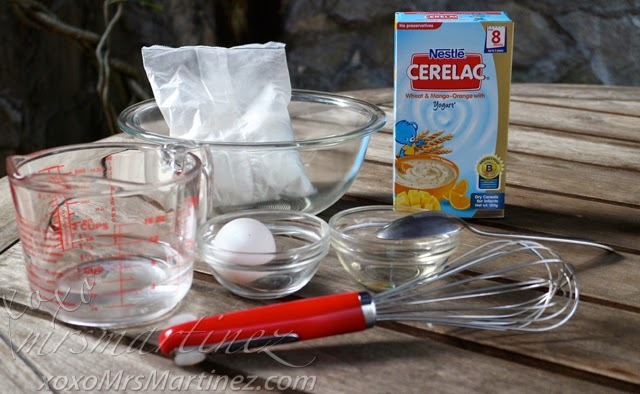 But first, let me first tell you more about the proper way of preparing and serving Cerelac to your little one. Wash your hands before preparing your child's food. Make sure all utensils are thoroughly clean. Boil clean drinking water for 5 minutes. Allow to cool. Measure 150mL and pour lukewarm water into child's bowl. 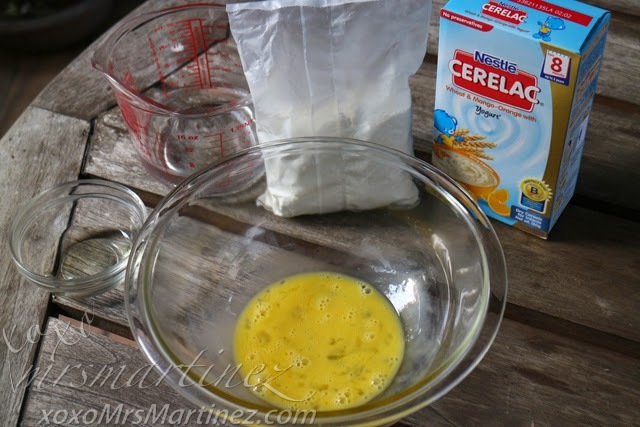 Add 50 grams or 5 level tablespoons of Cerelac. Do not keep unfinished portion. Close the pack tightly after each use and store it in a cool dry place. Use before expiration date indicated on the op of the pack. Serving the right amount of CERELAC gives your child the big nutrition he needs, Getting the right nutrition everyday protects him from the risks of micronutrient deficiencies. 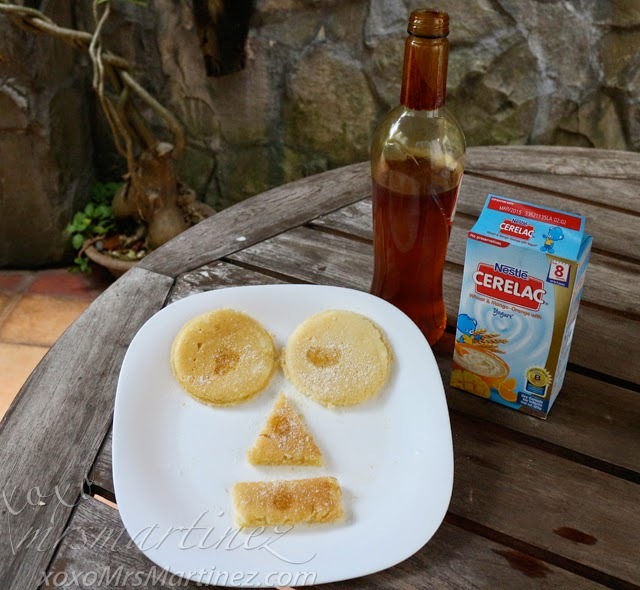 Now that you have learned the proper way of feeding Cerelac to your child, I can share one of the different ways of serving CERELAC to help make feeding your child interesting. I have been getting more and more creative with the food I serve to my little princess lately. After learning her alphabet and numbers at an early age, we are now studying shapes, so I try to incorporate that in this new recipe that I am sharing with you. I serve Cerelac once or sometimes twice a day. For breakfast, I mix Cerelac Wheat & Mango with Yogurt to pancakes. In a mixing bowl, beat egg slightly. Stir just until slightly lumpy. Do not overmix. 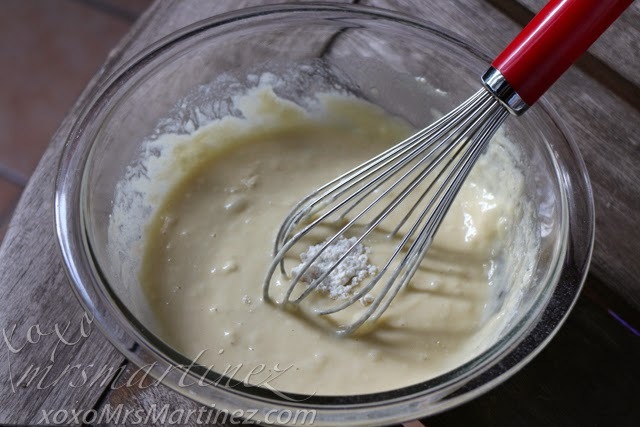 Pour 1/4 to 1/3 cup batter onto a pre-heated, slightly greased pan. Generously sprinkle 5 tbsp of Cerelac Wheat & Mango-Orange with Yogurt on top! Being a #ParentingNerd, I want her to learn every step of the way! I cut the pancakes into different shapes. 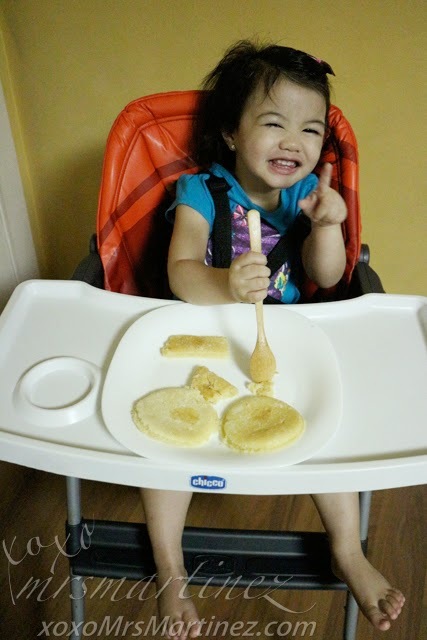 That way, she will have fun identifying the shapes as she eats her favorite pancakes! Want to find out what I paired with Cerelac Wheat Banana & Milk for my little one's afternoon snack? Read the rest of my entry here. For more awesome Cerelac & Gerber #ParentingNerd tips, visit here.